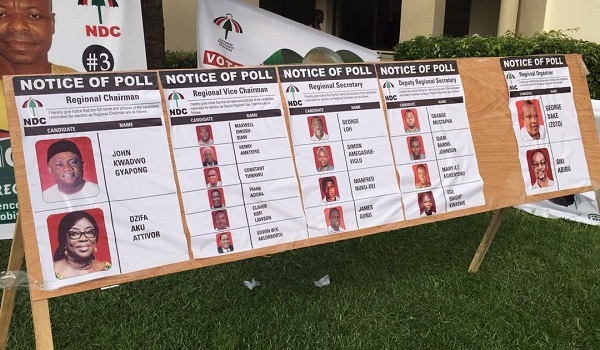 The Deputy General Secretary of the National Democratic Congress, Koku Anyidoho, has urged his fellow comrades to continue to work in the interest of the party irrespective of the out of the party’s bid to elect new executives. He indicated that the NDC needs a united front to work assiduously towards wrestling power from the from the Akufo-Addo-led-government that is “misleading the country” in 2020. 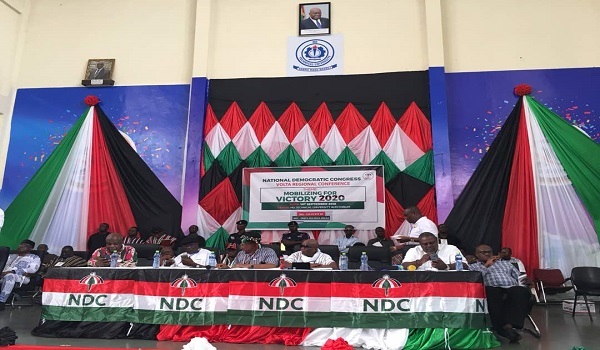 “we must win at all cost to deliver this country from the claws of the Akufo-Addo government that is misleading this country into a ditch”, he said at the NDC Volta Regional Delegates Congress at the Ho Technical University auditorium. Mr Anyidoho who is seeking a re-election reiterated his assertion that President Akufo-Addo was fortunate to have won the 2020 elections to expose to Ghanaians the capabilities of the President. Meanwhile, 884 delegates are expected to elect 19 regional executives from 54 aspirants at today’s Congress. Former Transport Minister, Dzifa Attivor, is seeking to be given the node to chair affairs and mobilize the party right from the grassroots to the top hierarchy for victory in 2020, while the incumbent chairman, John Gyapong Kudjo, is also eying a reelection. 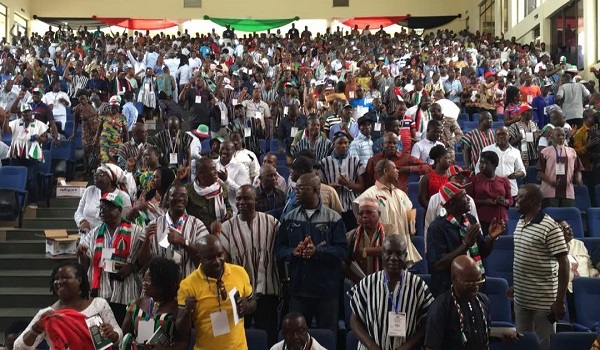 Speaking at the Delegates Congress, Mr Gyapong outlined his firm assertion that the NDC did not loss in the Volta Region. Mr Gyapong who added the party mobilized 85% of the regional votes under his stewardship lauded the enthusiasm exhibited by party memebers towards reorganizing the party for the 202 elections. Meanwhile one of John Mahama’s campaign song threw the Congress into frenzy few moments to the commencement of the election process.